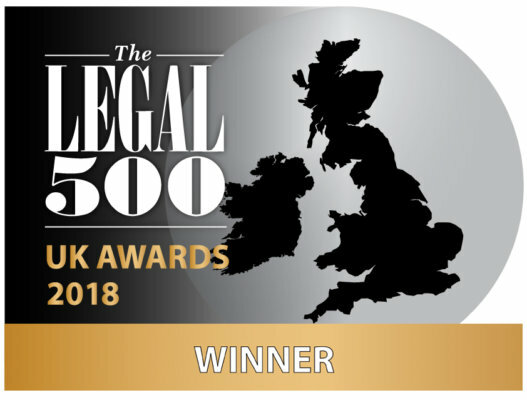 Tim Ward QC “has made the transition to silk effortlessly, and continues to impress with his collegiate approach.” Clients and lawyers in the commercial world cite his effective work in corporate contexts. He is “a go-to silk for regulatory-based judicial review,” according to the market. Jon Turner QC is known for his regulatory work in the telecommunications sector, in particular his cases surrounding Ofcom powers. He is working with a number of environmental groups, intervening in a challenge brought by a coalition of American airlines against the EU carbon emissions trading scheme. Gerry Facenna “is strong and he knows his stuff” when handling public law and judicial review. His public law practice is a little wider than is common at Monckton, and he is actively instructed by traditional general public law claimant solicitors, as well as those working with large corporate entities. There are few sets with as dedicated a competition and EU law practice as Monckton. “Clearly pre-eminent and a heavy hitter,” it is a set with real pedigree that can claim to have blazed a trail in competition law which other parvenus could only follow. The respect commanded by the set’s history was obvious to see during the course of research, but commentators were also keen to note that this is a chambers that moves with the times. “Efficient, modern and well organised,” it is always up to date with trends in the law and saturates the market with “super intelligent” leading silks and impressive juniors. There was an abundance of supporting evidence for Jon Turner QC’s star ranking in terms of both the work he has recently undertaken and the quality of the feedback he received from the market. He is “someone you want playing on your team” as he is “formidably bright and incredibly personable,” and he “has a complete grasp of incredibly complex cases.” One example of his recent work saw him act as lead counsel for National Grid in a highly significant damages claims. He also acted for Toshiba Carrier and others in a claim for damages from industrial copper tubing suppliers. John Swift QC is “well respected by clients” for his “technical expertise and general user-friendliness,” and garners praise for his long-standing experience in regulatory and competition law. The last year has witnessed his continued involvement in several high-profile cases, and saw him acting as lead counsel for Ryanair in its appeal against a decision taken by the OFT regarding the airline’s shareholding in Aer Lingus. 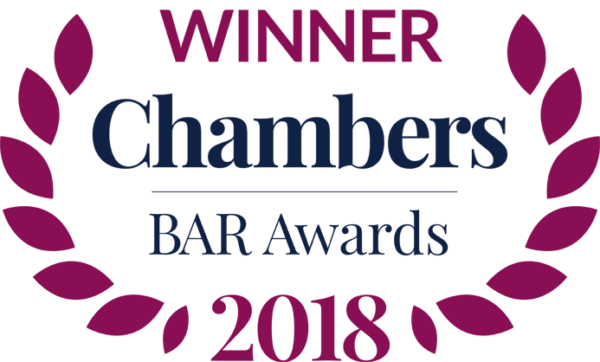 Daniel Beard QC has “made the move to silk seamlessly,” and is cited as a “consistently excellent and down-to-earth” barrister. Instructing solicitors and fellow barristers are all quick to confirm his strength in the competition sphere, and describe him as being “very insightful and just excellent all round.” He has been involved in some of the key cases of the last year, and has particular experience in damages actions. He has also acted as standing counsel to the OFT. Paul Harris QC is an “up-and-coming superstar silk” who is praised as much for his “clear and well-organised thinking” as for his ardent advocacy. His caseload continues to reflect his prowess in competition and EU law. Recent examples of work include acting for the intervener Ryanair in an appeal brought by BAA against the Competition Commission decision regarding Gatwick and Stansted airports. Tim Ward QC is another example of a relatively new silk quickly making his mark in both competition and EU law. Sources comment that he “addresses issues from all angles and instils immediate confidence in clients.” His “excellent pragmatic advice” is much valued by instructing solicitors, and one example of his recent work was acting for Canal+ in a challenge brought by Sky and The FA Premier League regarding the exclusive use of satellite decoder cards. Philip Moser QC is “a very accomplished advocate who is able to put across extremely sophisticated arguments with clarity and precision.” He is an experienced EU law practitioner, and offers noted expertise in legal issues surrounding sanctions. He recently acted in a matter concerning the European Investment Bank and the EU Community Guarantee which required a redrafting of the EU Guarantee Decision. The “unassuming, very able and very client-friendly” Josh Holmes is highlighted for his “ability to illustrate points very well” and is praised as being “as clever as they get.” In the past year he was instructed by Ofcom in BSkyB’s appeal against the pay-TV decision. Ronit Kreisberger offers “crisp, clear advice,” is “easy to work with” and is a “practical and effective advocate.” She recently acted for Hoffmann-La Roche in defending proceedings brought by Chemistree concerning the supply of pharmaceutical products, and also represented CDI AndersElite in successfully reducing a penalty imposed by the OFT. Stablemate Alistair Lindsay is highly valued by those instructing him, and his “unbelievable practical and academic experience” is singled out as just one of his many qualities. One commentator notes that “his ability to retain information and his eye for detail are astonishing.” Another went as far as describing him as “a computer in the form of a barrister.” User-friendly and pragmatic in his approach, Lindsay recently defended Samsung SDI against damages claims brought by Nokia stemming from alleged LCD screen and cathode ray tube cartels. George Peretz is seen as a great choice for those looking for “practical and easy-to-work-with” juniors who can offer extensive expertise in competition and EU law. He recently acted for Kerry Foods before both the Competition Commission and the OFT in an investigation into the proposed Headlands Goods and Kerry Foods merger. He has also worked on successful appeals brought before the CAT against OFT fines imposed after the construction investigation. Kassie Smith is “a real team player” who is repeatedly applauded for her “strong and efficient” advocacy and “very clear and well-drawn submissions.” These attributes contribute to her continuing popularity with instructing solicitors, and her practice extends to both competition and EU law. Smith worked with John Swift QC in appealing the fine levied against Galliford Try by the OFT, resulting in a successful reduction of the penalty. The “amazingly clear” Anneli Howard impresses sources with her committed attitude. Those who have worked with her can testify to the “total dedication and real application to the case” that she brings to her practice. She is highlighted for her strength and expertise in both domestic and EU competition law matters, and has worked for a wide range of clients in the last year. 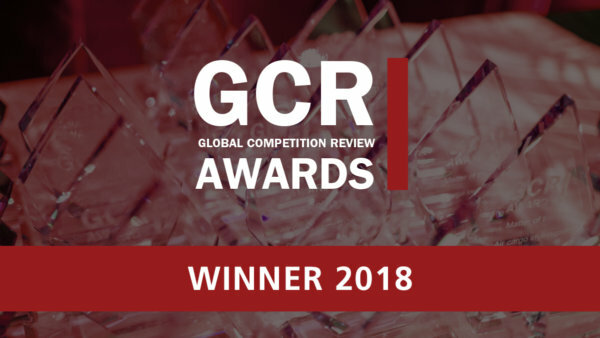 Julian Gregory is a new addition to the table, and is highly praised for his “really strong competition law analysis.” He is noted for his ability to provide “high-quality, commercial advice which is appreciated by clients,” and has been involved in several competition law cases in the last year. He was involved in Ryanair’s appeal of an OFT decision, and also took part in the Competition Commission investigation into pay-TV movies. Although less than ten years’ call, Philip Woolfe is quickly gaining a strong foothold in the competition law market. Sources comment that “he belies his years in terms of knowledge and experience,” and confirm that he is a “very sharp, affable and dedicated person.” His recent work includes NHS v Reckitt Benckiser, a matter in which the NHS is claiming damages against Reckitt Benckiser following on from the OFT decision to fine the company over its Gaviscon supply policy. Another junior impressing market commentators is Alan Bates, whose “understanding of UK competition law and the mindset of the OFT is excellent.” He juniored to Daniel Beard QC on behalf of the Competition Commission when defending a challenge brought by BAA before the CAT. He also represented the European Commission as sole counsel against an appeal brought by British Airways. Ben Lask is another popular choice for instructing solicitors, and is able to offer widespread experience in competition law matters. He is praised for his “considered and very knowledgeable approach,” and has particular strength in the regulatory arena. He was led by Dinah Rose QC representing Ofcom in the pay-TV CAT appeal. “Thorough, practical and user-friendly,” Rob Williams is steadily increasing in market prominence, and has respected public law, commercial and regulatory expertise. His “unimpeachable analytical skills” were particularly highlighted by sources, as was his “ability to think creatively about new issues.” He recently advised the OFT with regard to the investigation it undertook into Reckitt Benckiser and its Gaviscon product. Michael Bowsher QC of Monckton Chambers is known for his expertise in public procurement law. He combines this with an impressive construction and engineering practice that sees him appearing extensively in arbitrations, both in the UK and overseas. By way of example, he recently handled an arbitration in Geneva relating to the construction of a power station. 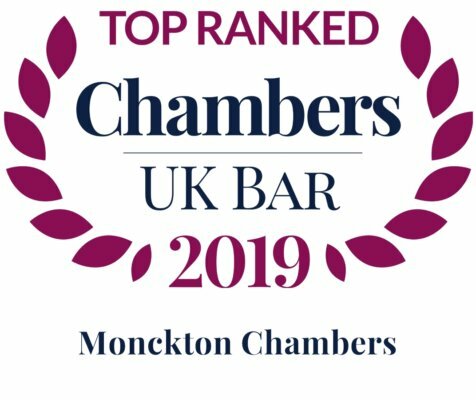 Monckton Chambers has a talented group of practitioners who are fully conversant with all manner of environment cases. Its team commands particular respect for its knowledge of EU law and its application to UK law, and assists a wide range of clients including the Environment Agency and BIS. They are further instructed by numerous private clients. Jon Turner QC is a popular brief for litigious matters in the environmental arena and counts Greenpeace and the Environment Agency amongst his many clients. Clients say that he is a superb barrister who is especially good on the more complex cases, particularly those with an EU angle to them. Stablemate Kassie Smith is, like Facenna, adept at appearing before both the domestic and EU courts on a range of matters. She has recently handled challenges concerning the correct application of various directives including those relating to EIA, habitats and landfill. Robert Palmer, “a fine advocate, who is clear, straightforward and makes points in a punchy and persuasive fashion.” He has much experience of representing both the government and applicants in the immigration context, and his knowledge is highly valued by instructing solicitors. Paul Lasok QC is an accomplished competition and European law barrister, much of whose time is taken up on procurement cases. Instructing solicitors remark that he is “brilliant at getting to the point very quickly” and a man who provides “very sensible” advice. The “very impressive” Philip Moser QC is a well-known lawyer and an expert on EU law and its application to public procurement exercises, contracts and challenges. He acts for private contractors, the government, police authorities and public bodies. Elisa Holmes combines an “approachable and charming” manner with the steel of a “gritty and determined advocate.” She has recently advised on procurement disputes involving transport, medicines and a whole host of services provided to central government departments. Valentina Sloane has over a decade’s experience advising on procurement disputes, either unled or in tandem with leading silks in the field. She is instructed by the leading solicitors in the market, one of whom remarked on the quality of her drafting skills and her approachable mien with clients. Rob Williams is well known for his tenacity when handling public procurement work. He is popular with solicitors as he is “able to think creatively about new issues.” Testament to his standing, he was involved in the signature case of the past year, Alstom Transport v Eurostar International Limited and Siemens plc. Paul Harris QC of Monckton Chambers is fast becoming one of the silks of choice for sports advocacy. Peers agree that he is “a first-rate barrister who knows the sports industry inside-out and works very well with clients as a result.” Sports clients are keen to work further with a barrister who “speaks a language we understand; he has the appearance, he gets the strategy – when we’re loading the cannon for a hearing, we want him to fire it.” Harris’ significant standing in this sector is anchored in the high-profile cases he has undertaken in football, but he has also been instructed in critical cases in both rugby and Formula One. He is currently highly involved in issues surrounding the London 2012 Olympics, including a number of disputes relating to athlete and team selection. Paul Lasok QC is “a creative thinker,” who “never lets a point go” once he has his opponents on the ropes. An expert in both VAT and EU tax law, he produces excellent skeleton arguments and is deadly in court as he knows the wider VAT landscape better than the next man. The “very tenacious” Melanie Hall QC is a tough opponent for anyone at the Bar, whatever their seniority. Her knowledge of VAT and customs duties is such that she has been engaged in some of the most important indirect tax cases of recent years. Recently, she acted in British Aggregates Association v European Commission, a case concerning the legality of the Aggregates Levy that went on appeal to the ECJ. Now in his second year as a silk, Philip Moser QC continues to impress the market. He advises on VAT as part of a wider commercial and EU law practice. Brilliant at analysing a case, he proves to be “formidable and very authoritative” once in court. Valentina Sloane has contributed to some of this year’s most important indirect tax cases, representing, for example, the taxpayer in Rank Group v HM Revenue and Customs (ECJ), a gaming industry test case. She is acclaimed for her “clearly structured arguments” and for never taking bad points. Peter Mantle frequently appears in VAT Specialist Tribunals and cases. He recently appeared in the well-publicised Littlewoods retail ECJ case, which centred around the question of whether or not taxpayers can recover compound interest on overpaid VAT. This “excellent competition shop” is the kind of set leading solicitors find will never let them down: “The clerks always find the right person for the job.” Monckton seems in no danger of relinquishing its place at the zenith of the telecommunications and regulatory law world, and bristles with esteemed silks and juniors, many of whom find themselves pitted against each other in the major telecoms and electronic communications cases of the day. Jon Turner QC is a regular choice of the top solicitors in the market, and is roundly regarded as one of the best competition and regulated utilities counsel in the land. Solicitors like him as “he shows you the light in a case and directs you down the path that is best for you.” He also “adds an aura of calm and control to any situation,” which proves highly reassuring to those who instruct him. Recently, he was jointly instructed by Everything Everywhere, Three and Vodafone to lead their appeal to a CAT decision concerning Ofcom’s remit and responsibilities in deciding interconnection disputes among telecoms operators. Daniel Beard QC is “always one to consider instructing” in the most taxing and complex competition cases within the sector. He is a “very bright and articulate” advocate who has proved his mettle in cases such as the recent intervention by Top Up TV in support of BT against Ofcom’s position on pay TV provision. This matter raised the regulatory implications of the ongoing convergence of telecoms, internet and broadcasting technologies. Tim Ward QC is “calm and measured” and “plays his hand very well in court,” according to sources. He acted for Freesat in BSkyB v Ofcom, one of the biggest cases of 2011, and also appeared for BT in TalkTalk v Ofcom, which looked at BT’s wholesale broadband pricing. Paul Lasok QC is popular as he is “straight with people and tells them exactly what he’s thinking.” He has an excellent reputation in the field, and recently appeared in Nokia v Samsung, a case concerning damages for losses incurred through the purchase of Cathode Ray Tubes. The “polite but persistent” and “very persuasive” Josh Holmes has impressed with his representation of Ofcom in a number of cases. These have included the high-profile and crucially important BT intervention against the regulator on its policy regarding pay TV provision. Meredith Pickford is very often the “first choice” for solicitors and their clients looking for a compelling advocate with near-matchless experience in mounting regulatory challenges in the CAT and higher courts. A man who does not need a silk to lead him, he recently acted as sole counsel for Sky and TalkTalk in their intervention against BT in a challenge concerning broadband access charge control. Anneli Howard is an expert on the interplay of European law and domestic telecoms regulation, and was a Référendaire at the ECJ before entering full-time practice at the Bar. She has “very good technical knowledge of electronic communications,” according to sources. Ben Lask is a firm favourite with Ofcom, and is cutting a dash as a dynamic junior who can be effectively deployed in the most critical cases. He represented Ofcom in defence of its decision regarding pay TV. Also impressive is Alan Bates, who is viewed as being first rate for someone so relatively junior. A lawyer of great thoroughness, he is praised for the insight into the telecoms industry he gained when being placed on secondment to Ofcom. He played a lead role in the team acting for the regulator in the high-profile mobile call termination case brought by Everything Everywhere. Robert Palmer enters the rankings on the strength of his impressive performance in the mobile call termination matter on behalf of BT.